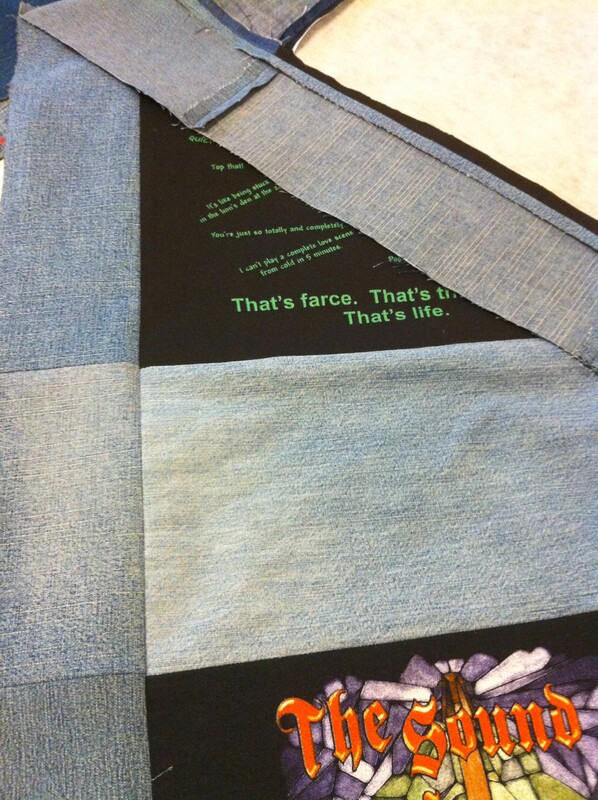 I am so excited to have put a big dent in my tee shirt quilt this past week! I had an extra day off of work (today), so that has helped out a lot. All tee shirts have had interfacing applied, and all quilt pieces have been cut and all vertical columns have been sewn together. I have layed out the colums on the bed. They overlap a bit, otherwise I couldn’t get them all on the bed. Now, its just a matter of getting the columns sewn to each other. I have the first two columns on the left side sewn to each other. Here’s a pic of them folded over so you can see a bit of the back as well. Peek at the first two columns, front and back. ~Pay attention to the stretchiness of your denim fabric. Some of my jeans had more stretch in them than other pairs. ~Don’t forget to swap out your sewing machine needle for one made to handle heavy duty fabric. I’m using a 16, and it seems to be doing very well. ~I sewed back and forth a few times across areas where four pieces of fabric meet, just to add a little more strength in those seams. ~Don’t forget to press out the seams. That’s all for now. Hopefully, I’ll finish up in the next week, and we’ll get to see the finished product! This past Monday was my dear hubby’s birthday! He is such a a wonderful husband and friend, and daddy (to our puppies!). He’s a good son, a hard worker, a man of God, and I am proud to be his “missus”. 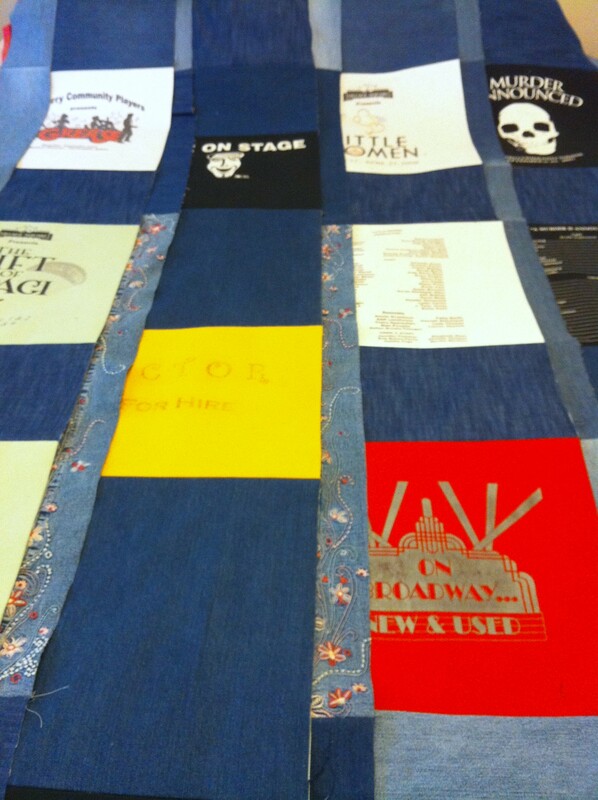 One Response to "Tee Shirt Quilt – Part Three"